This is what I've used for a while with my LoG (Loop on Ground) antenna, with great results. I've had others ask about buying one, so now here it is! Available with 200, 300, and 450 ohm input impedances. 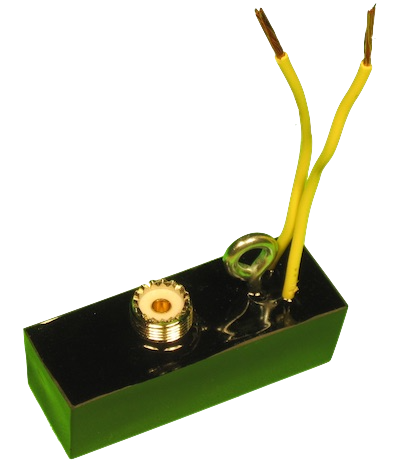 These matching transformers are encased in epoxy resin, making them extremely weather resistant. They measure about 4 by 1 by 1 inches and weigh approximately 3 ounces. There's an eyebolt for adding a support rope, which should be used only to hang the transformer. While epoxy resin is extremely hard, it is not designed for loads under tension. You need to use antenna insulators/etc to hang your antenna wires and take all of the weight/stress, otherwise the resin could fail. 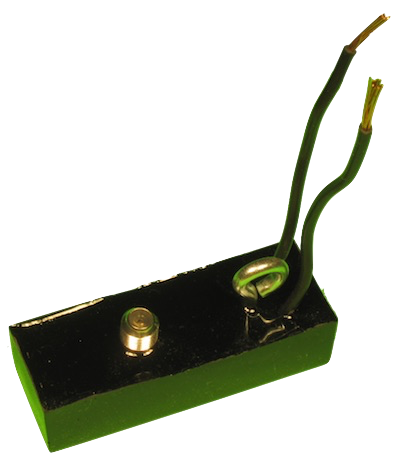 This is solved by using a matching transformer, which allows maximum signal transfer between your antenna and receiver. 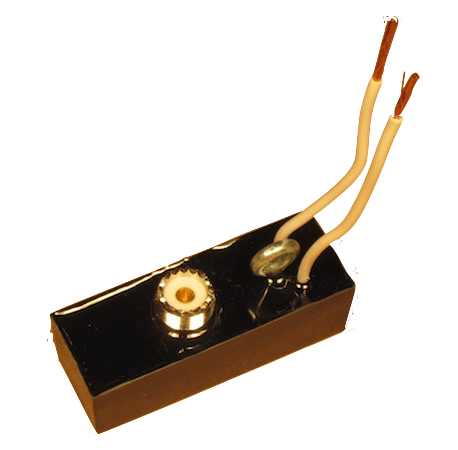 Cyclops matching transformers are available with either 50 ohm UHF (SO-239) connectors, or 75 ohm F connectors (it's popular to use RG-6 TV style coax even at HF for receive applications as it is inexpensive, easy to find, and low loss). It's not possible to get "perfect" impedance matches since you have an integer number of turns on the primary and secondary of the transformer, but these are more than close enough for any real world antenna. View the items in your cart, check out via PayPal. You do not need a PayPal account to order, you can use your credit card without an account.